Cathedral of Santiago was consecrated in the early 1200s. 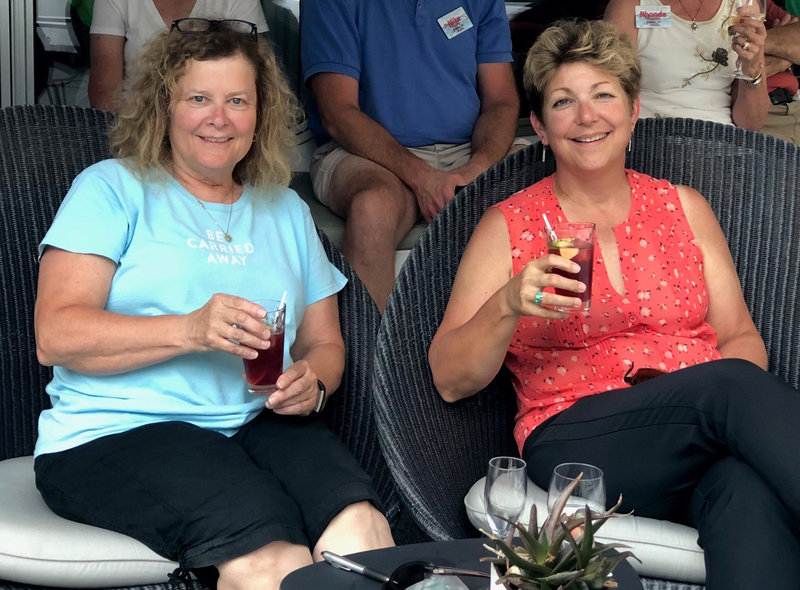 Regina, Kim, and Diane (that’s me) work at Simple Solutions, but we’re on vacation right now. 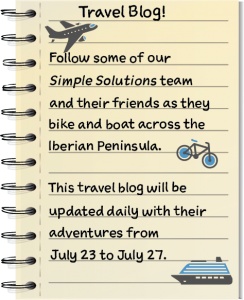 We’ve packed our bags and bicycles and headed out on an adventure that, for us, is an entirely new way to travel: bike cruising! This vacation is part cruise since we spend our nights aboard a ship and part bike tour since we spend our days pedaling from town to town. 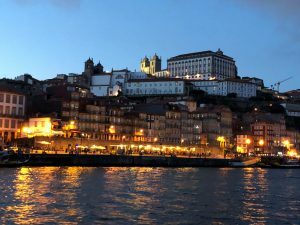 Our ship will cruise the Douro River, which empties into the Atlantic Ocean at Porto, Portugal, where our cruise begins. The Cathedral’s giant censer swings out from above the altar. 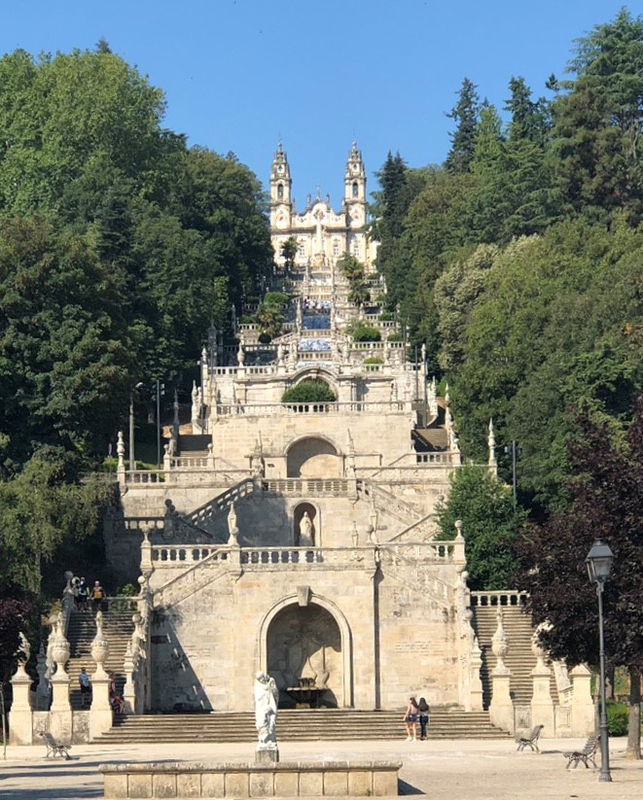 All too soon, we headed back to Porto where Regina hoped to reconnect with her AWOL luggage. 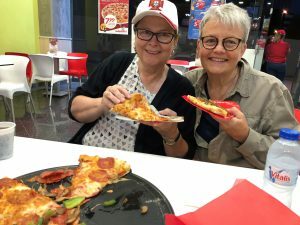 We grabbed a slice of pizza and geared up for our first full day in Porto. An early morning trek up Porto’s Clérigos Tower reveals stunning vistas in all directions. 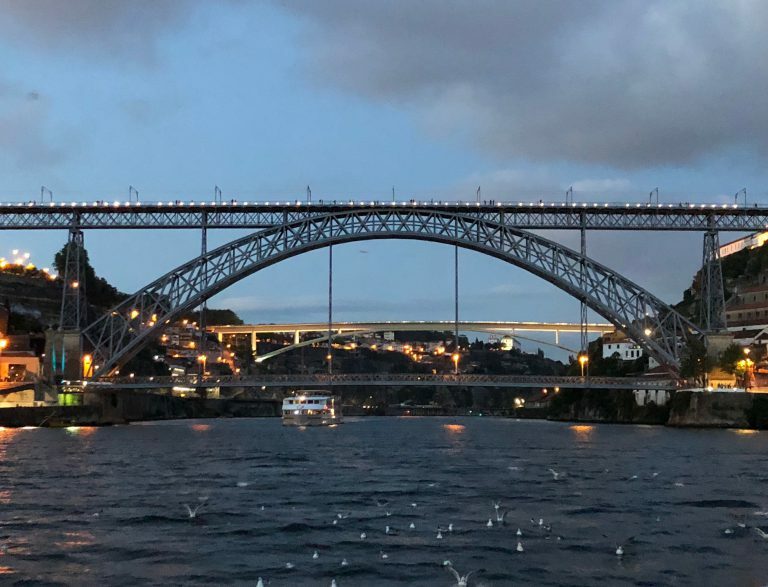 Kim and I covered a lot of ground during our day in Porto using an array of transportation modes–bus, car, foot travel, historic tram, water taxi, and even a funicular. 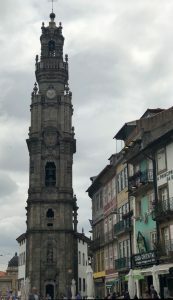 Porto is a lovely town where centuries-old buildings with tile facades nestle side by side with modern ones. One attraction includes a climb up the baroque Clérigos Tower, in which stone walls slowly squeezed in on us as we ascended. Finally, we were rewarded with a breathtaking panorama of Portugal’s second largest city. We sampled a “replica” of Portugal’s famed custard tart. 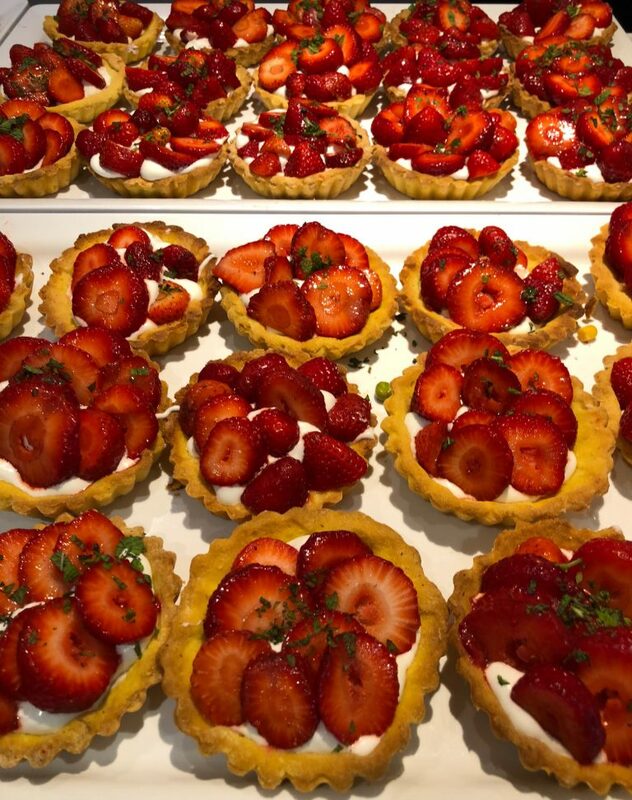 The original recipe is known only to three family members and three bakers from the Lisbon bakery, which today cranks out around 20,000 of the flaky-crusted sweet treats each day! Early 18th century monks used egg whites to starch their robes and, to the culinary delight of the entire country, found this surprisingly delicious use for the leftover yolks. The central attraction of every Portuguese bakery window is the Pastel de Belém custard tart. Hands down, it’s the country’s signature pastry. The rare moment bookshop fans are not lined up outside the Livraria Lello is when it is closed. 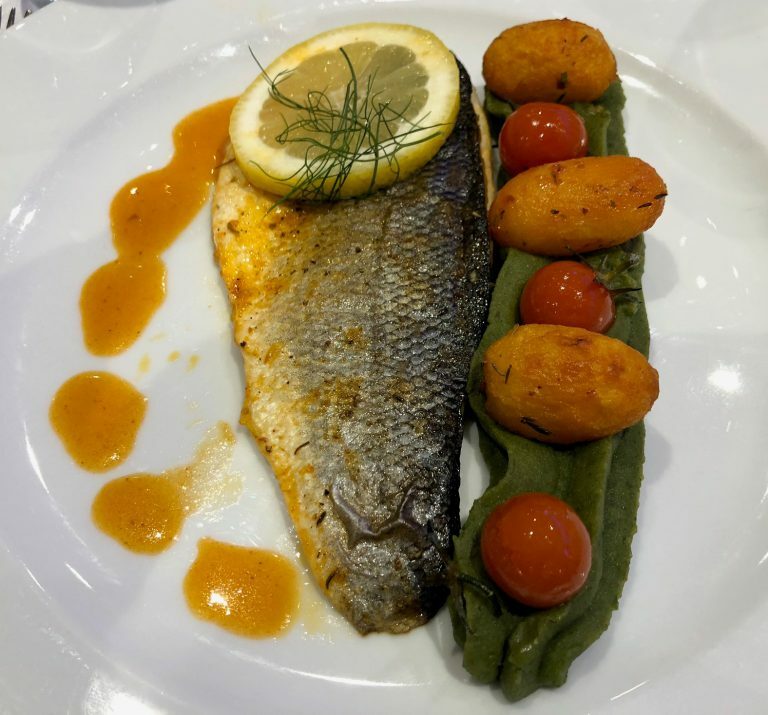 Sadly, while Kim and I sampled the best Porto had to offer, Reg and Paula struggled to replace some of the more essential items from Reg’s still-missing suitcase. 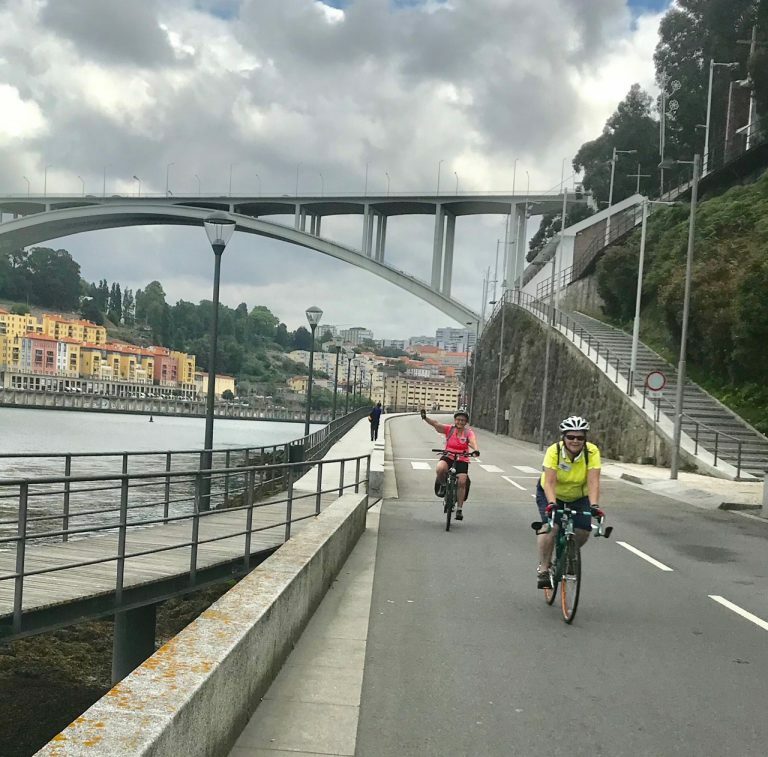 They, however, also picked up their rental bikes and enjoyed the first few kilometers pedaling through Porto’s cobblestoned streets. 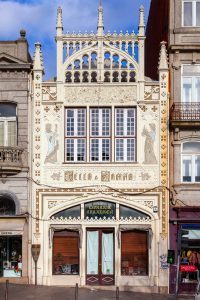 For Kim and me, on the other hand, the highlight of the day was a visit to a most magical bookstore, the Livraria Lello. It is here that J.K. Rowling drew inspiration for the Harry Potter series and may even have crafted the first few lines of Harry Potter and the Sorcerer’s Stone. Rowling taught English in Porto and was a regular at this fantastical bookshop. From its carved wooden staircase to the ghost-like author busts floating eerily in front of rows of books, we were irretrievably drawn under its spell. Get out your Marauder’s Map, and it will surely reveal Harry and classmates sneaking around the Livraria Lello just after closing. 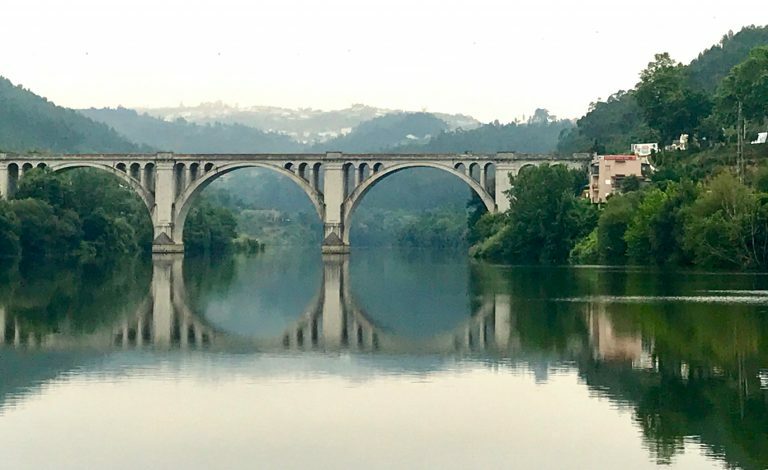 A UNESCO World Heritage Site, the repurposed scenic north shore of the Douro River attracts historians, shoppers, and revelers to what once was Porto’s maritime hub. As the day wound down, we hiked to our vessel, checked into our cabins, met crew and fellow passengers, and took our maiden voyage out to the Atlantic Ocean. 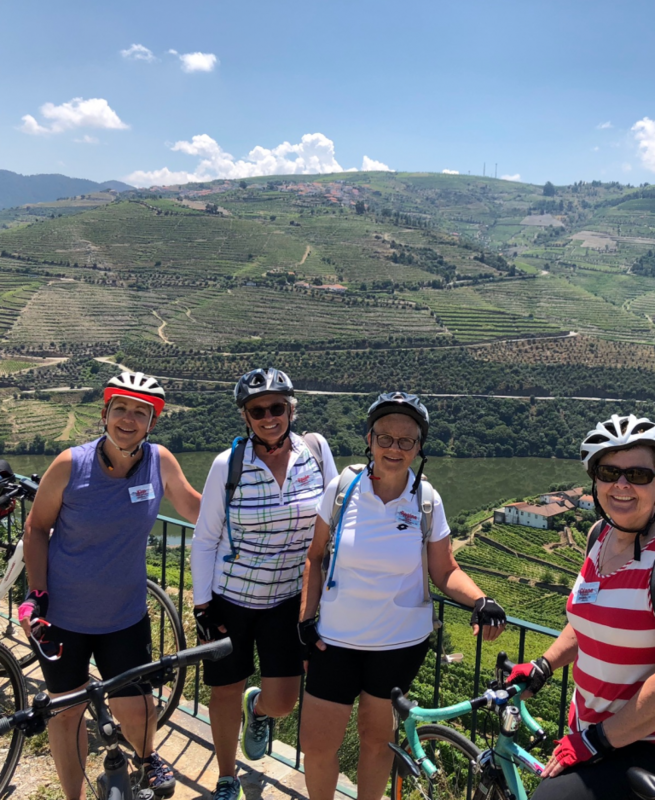 We retired exhausted but ready to assemble our bikes and discover the “heights” that cycling the beautiful Douro River Valley would have to offer. 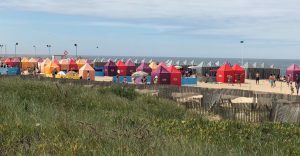 Colorful beach tents protect sunbathers from an unrelenting sun. If only we could figure out a way to bike with one! Thursday was bike assembly day, when we found out if we’d packed all the pieces, parts, and tools needed to reassemble our bicycles. Upon successful completion, we rode the same pancake-flat route we had sailed the day before, to the Atlantic, then on to a tiny chapel built on a coastal rock outcropping. It appeared comfortably inland at low tide but considerably closer to shore at high. We dipped our feet into the mild ocean water and pedaled back to our floating home, confident in our bikes and ourselves. The majestic Douro River Valley, home to much of Portugal’s port wine industry. Early the next morning, our confidence landed us on a super-challenging mountain. It proved hot and slow-going as we climbed……and climbed……and climbed with only rare downhill respites. And we learned that the boat moved not only at night, but also sailed mostly by day, and we needed to hustle to get back before it departed for upriver docks. That could’ve meant being too late for lunch or even missing the boat altogether. We would then need a minivan transport to the next day’s bike departure point. We opted for a quick lift back to the boat and to a lunch nothing short of spectacular. Over the next two days, we began to adjust to our ride routine. 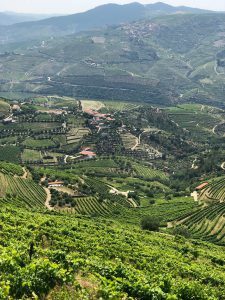 The boost* took us straight up out of the valley while allowing us to view some of the most striking agricultural vistas I have ever witnessed: terraced row upon row of olive trees and grapes for making the famous Portuguese port wines on near-vertical plots of land. 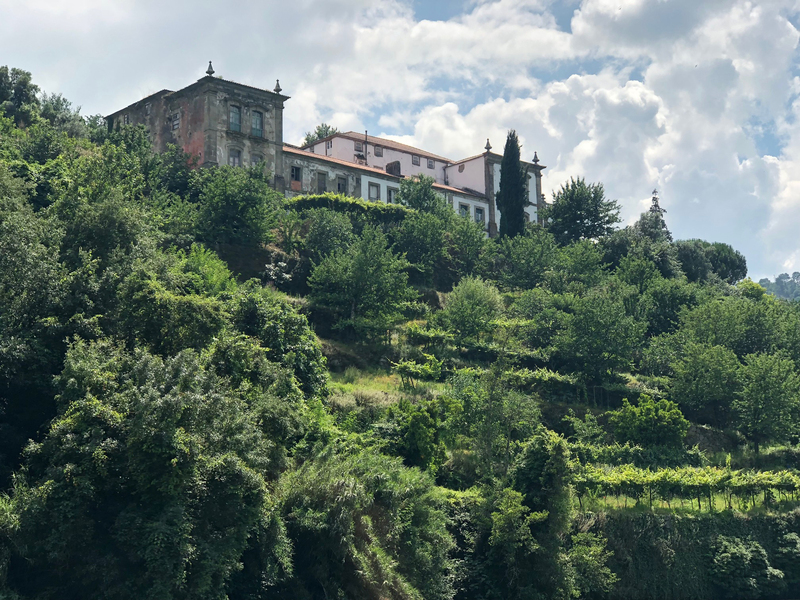 On each boost, Paolo, our local guide, shared the history, culture, and agriculture of the Douro Valley and its thousands of years of inhabitants—a fascinating study in determination and persistence. After the boosts, the downhills ceased to be an aberration, but rather a natural part of our cycling day. 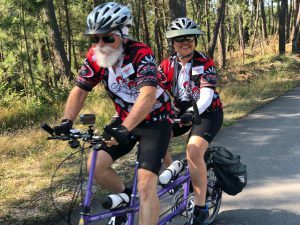 Our new friends, Debbie (an elementary school teacher) and David Neal from Sanger, California enjoy the team effort and companionship a tandem offers. After our ride, we returned to the ship for a late lunch, as always, an amazingly-splendid feast. Then, we whiled away the hours on deck, grabbing a cat nap, or enjoying the company of an unending supply of fascinating fellow passengers with whom we share a love of bicycle touring. Everyone on our boat, the MS Miguel Torga, came to bike, most of them on a tandem. Soon, it would be time for our French chef’s gourmet dinner and some lounge entertainment. A uniquely Portuguese form of music, Fado, was the first night’s performance. Finally, we retired for a good-night’s sleep (a must) in preparation for the next day’s ride. 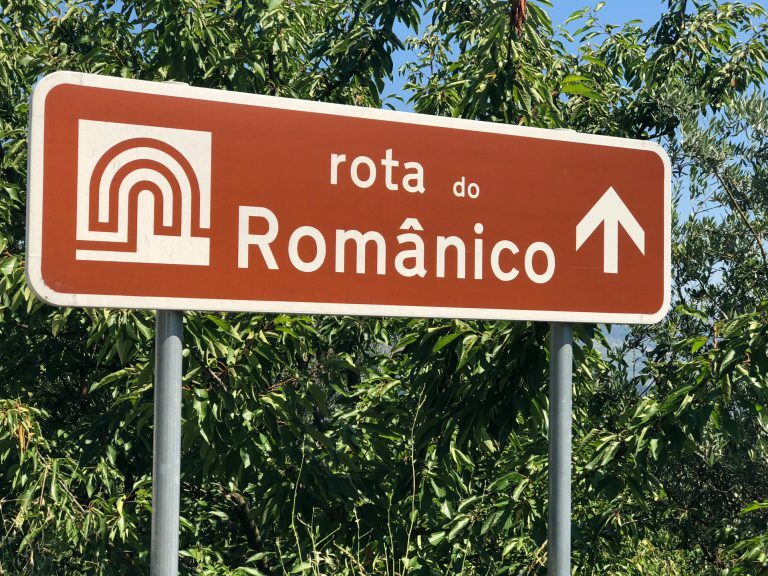 *boost is what our trip planners called the guided tour-bus ride out of the depths of the Douro gorge. All the convenience, sustenance, and flavor one needs: jamon on baguette. A day without a biking is like a day without…..forget what you think is coming! 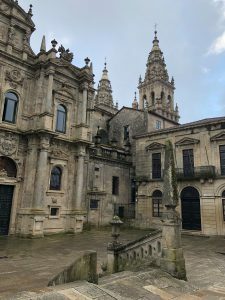 It’s a day to rest weary arms and legs and see Salamanca, Spain, home of side-by-side cathedrals and one of the oldest universities in the world. Climbing scenic Douro Valley hills can wait a day. Our boat moored near the Portugal–Spain border in the middle of nowhere, as we boarded a bus to travel the 1½ hour drive to Salamanca. The landscape changed almost immediately from the groomed vineyards winding out of the valley to much flatter terrain, covered in forest and farms. Excitement mounted as the cathedral finally loomed in the distance. 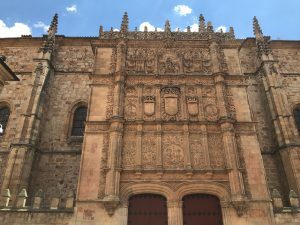 Examples of Plateresque style decorate the facades of the new Salamanca cathedral and the main university building. First order of business: lunch. 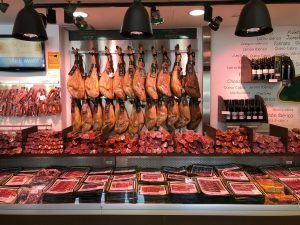 Paolo had tempted our palates with stories of the scrumptious jamon (ham) sandwiches made from black-hoofed Iberian-peninsula pigs. We immediately took his recommendation and found, if anything, he had underestimated its deliciousness. We topped off our lunch with a scoop of gelato and I, being a sucker for macarons, added one as a topper. 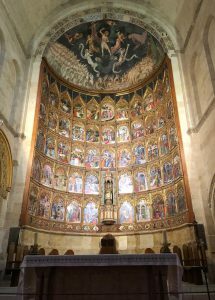 A recently restored series of 53 colorful panels decorate the altar and the vault above features a fresco of the final judgment. Our guide introduced us to Salamanca University which was founded in 1218. Today its ornately Plateresque-style buildings house the university’s administrative offices. One intricate stone carving reveals a frog perched on a skull. This became an important symbol of the city. There are several theories about the significance of the frog, but the most optimistic among them is that locating it brings a student luck with his or her studies. Also carved are King Ferdinand and Queen Isabella; they funded this building, as well as Columbus’ voyage across the Atlantic. The old cathedral, built in the 12th century, shares a wall with the new cathedral, built between the 16th and 18th centuries. The intent was to knock the old down, but Salamancans decided against it, and the old cathedral was spared. Today tourists can visit both, comparing architectural styles and artistic touches. On the entryway to the new cathedral, we viewed carvings of an ice cream cone-eating gargoyle and an astronaut. No, historic stone carvers did not predict the future—modern repairmen incorporated these symbols to represent the 20th century. 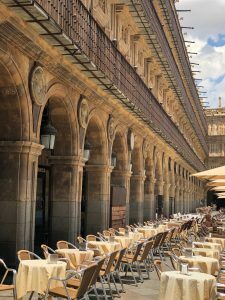 Rows of cafe tables await appreciative lunch crowds in Plaza Mayor while above are the balconies once packed with fans of the Spanish bullfight. Our last attraction of the day was the enormous Plaza Mayor, once a site where Salamancans crowded the square or watched bullfights from wrought-iron balconies. 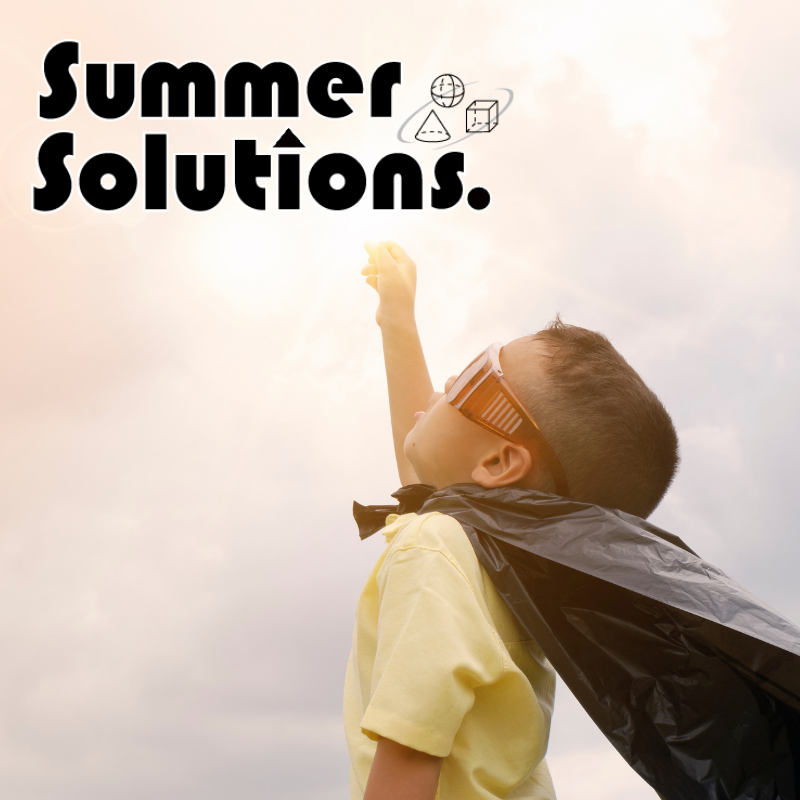 Today, activities are more likely to include dancing with castanets, enjoying tapas at outdoor cafes, and plenty of opportunities for people watching. Medallions featuring prominent people with a connection to Salamanca, such as Cervantes, Cortez, saints, and kings decorate pillars around the square. The medallion of dictator Francisco Franco was removed in 2017, and other pillars are still awaiting a medallion. At tour’s end, we trekked back to the bus for our return trip and then reboarded the boat. 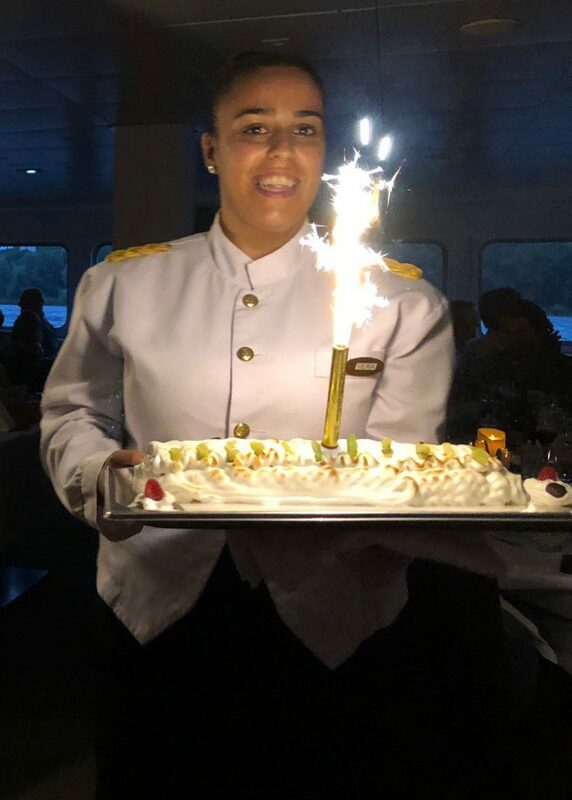 For the night’s lounge show, the staff and crew of the boat performed a musical variety show, and a good time was had by all. Day 8 was a full day of riding, broken up by a winery tour with the requisite tasting. Here we learned much about the fermenting process, color variations, aging, and vintage of port wines. While I never really acquired a taste for the sweet ports, the information was very interesting. We returned to the boat and before long we were off, entering the same Douro River locks through which we had passed on the upriver part of the cruise. We headed back to the mouth of the river at Porto and the Atlantic Ocean, and the rapidly-approaching end of our bicycle cruising in Portugal. We cooled off in the ship’s pool and were soon ready for our gala dinner. 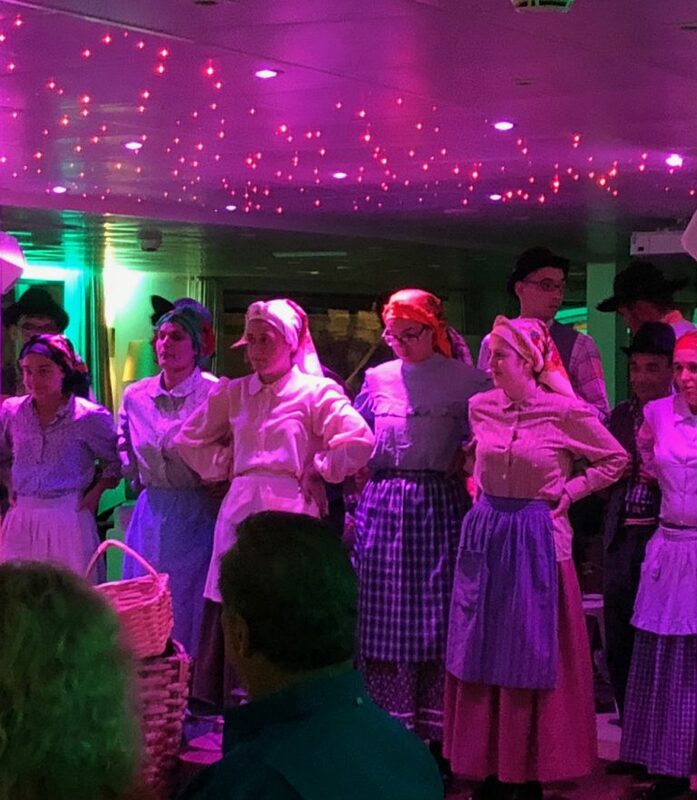 The entertainment in the lounge was a talented group of folkloric dancers reenacting the farming practices of earlier residents of the Douro Valley. One of the beautiful sites, as we biked alongside the Douro River, was its many bridges, each architecturally different from every other. Splendid wineries and villas dotted the landscape as we biked the valley. 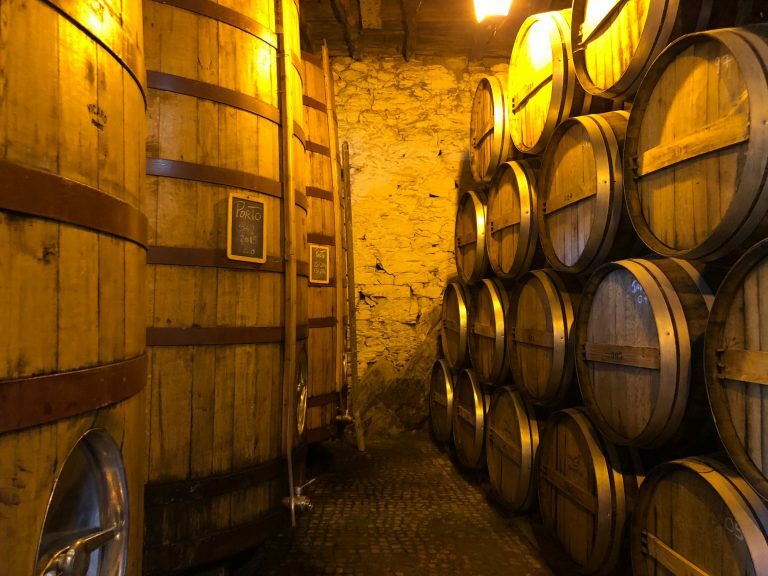 Our captain had arranged a tour for us of the Quinta do Tedo winery where we saw and learned much, including the different types of barrels used in aging various port wines. The gala dinner included baked Alaska with something akin to a Roman candle placed in its center. A troupe of folkloric dancers provided the last night's entertainment by telling the story of early farming in the valley. The next morning’s bicycle ride, the last of our trip, was even more fabulous than that of the previous day. 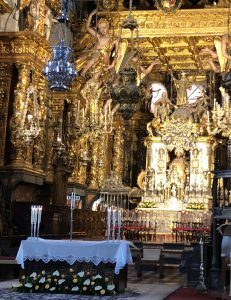 We were treated to a visually stunning hilltop church at Lamego. 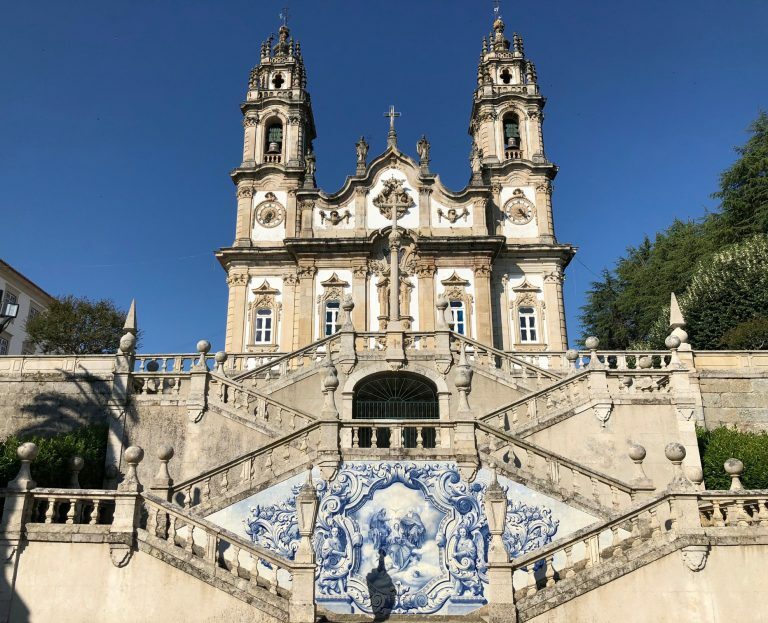 While the photos are stunning, they don’t come close to capturing that first breathtaking glimpse of the church perched atop layer after layer of matched sets of ornamented stone staircases surrounding masterpieces of blue and white tile. We tore ourselves away from the beautiful spectacle and began riding through the vineyards and quaint villages on our way back to the boat for the last time. We were back on the ancient Roman road with its many traffic circles which, by now, we were navigating like locals. We reflected on some of the great sites we had seen, the great people we had met, the glorious rides we had taken, and the good times we’d had. This adventure was a trip not likely to be forgotten. Kim, Paula, Reg, & I stopped to survey the hill we had just climbed or were about to descend. Either way, it's all good! 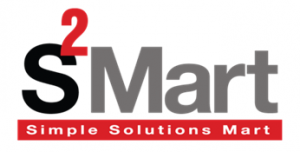 … its most strategically stunning location from afar. Reg and I happily pedal uphill - it was the last time it was happily uphill and the last time there was any cloud cover. 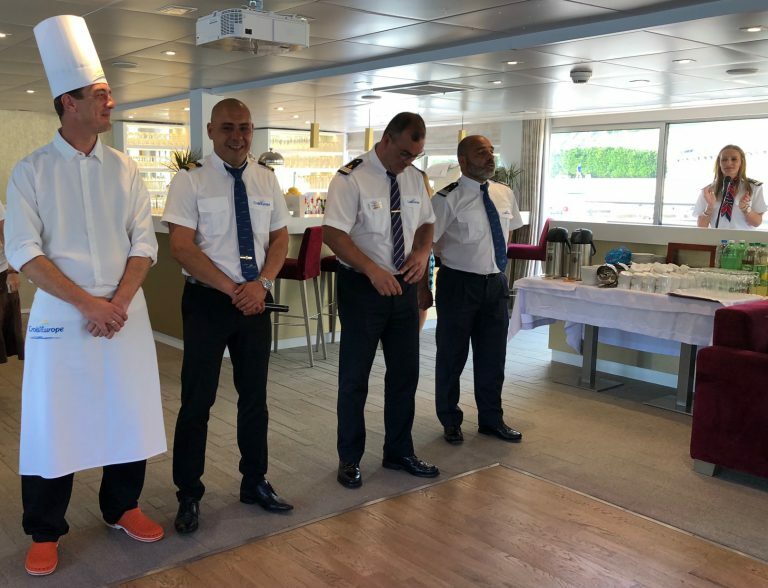 The chef and captains of the MS Miguel Torga- all fabulous and dedicated to our enjoyment and well-being while aboard. The last evening in Porto found us enjoying its illuminated bridges for a final time. Kim & I enjoying a Sangria on the boat’s Spanish feast day. Follow the signs like the Romans surely did.